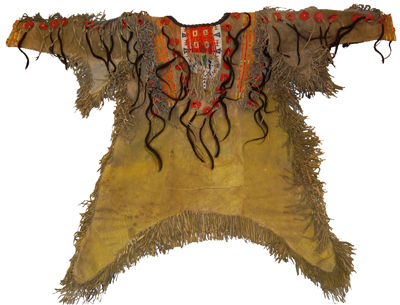 "Omaha Charley" Bristol wrote that Standing Bear presented him with this scalp shirt in 1876. It is a fine example of work that appears to predate the Reservation era. 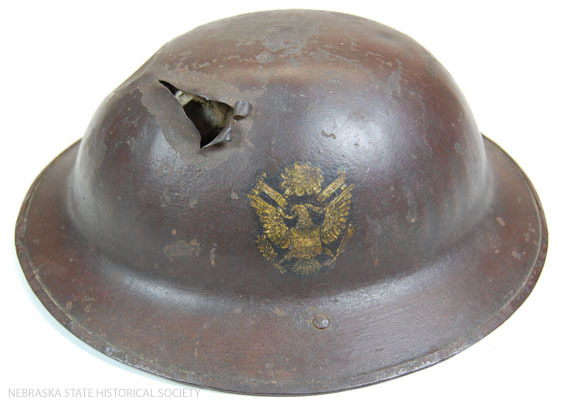 With one look at this helmet, you know it has a story to tell. Fortunately, it has a happy ending.